Atlanta, GA – The Department of Homeland Security, Transportation Security Administration (TSA) today announced that BOS Security is one of fourteen companies selected to provide Airport Passenger and Baggage Screening Services under a new ten year IDIQ contract. The total shared value of the IDIQ vehicle is $3.3 Billion over the 10 year ordering period. 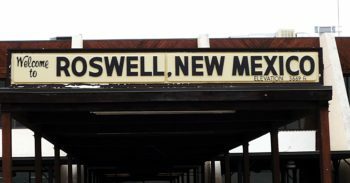 Since 2009 BOS has provided Security Screening Services to the TSA in Roswell, NM. BOS is responsible for all aspects of the screening operation including recruiting personnel, insuring proper training is received, and that all regulations of the TSA are met. The BOS Team meets or exceeds all TSA requirements for screening personnel and operations at a lower cost than equivalent federal employee screeners while maintaining equal or better employee wage rates. B O S Security, Inc. holds SAFETY Act Designation for the firm’s services in Airport Passenger and Baggage Screening. The SAFETY Act provides important legal liability protections for customers and providers of Qualified Anti-Terrorism Technologies – whether they are products or services. The goal of the SAFETY Act is to encourage the development and deployment of new and innovative anti-terrorism products and services by providing liability protections.